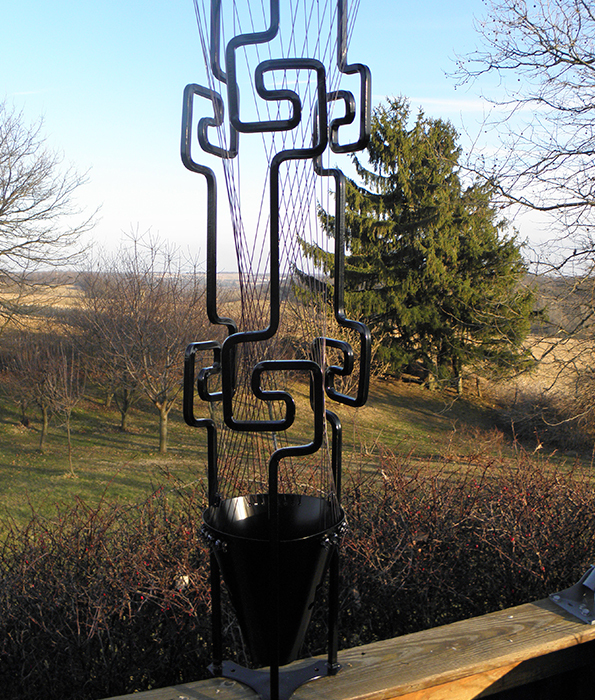 Mohican wind harps come in a wide range of styles to better fit an outdoor setting. 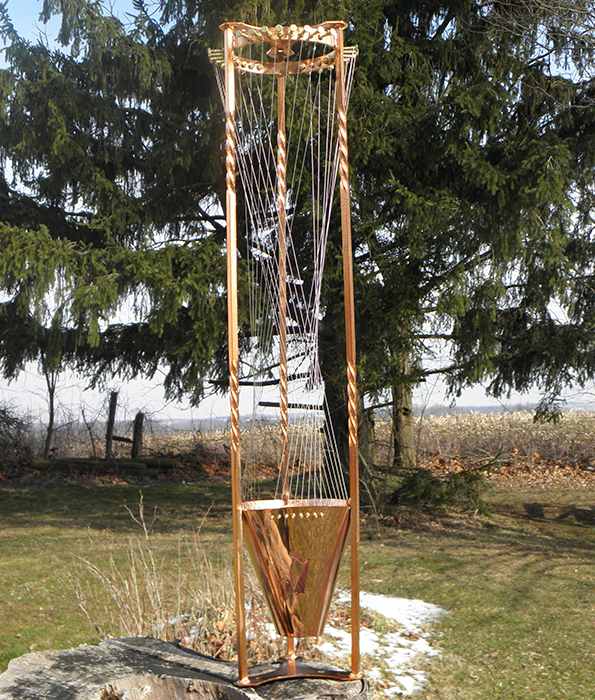 Standard and unique harps are suitable for homes and private gardens. 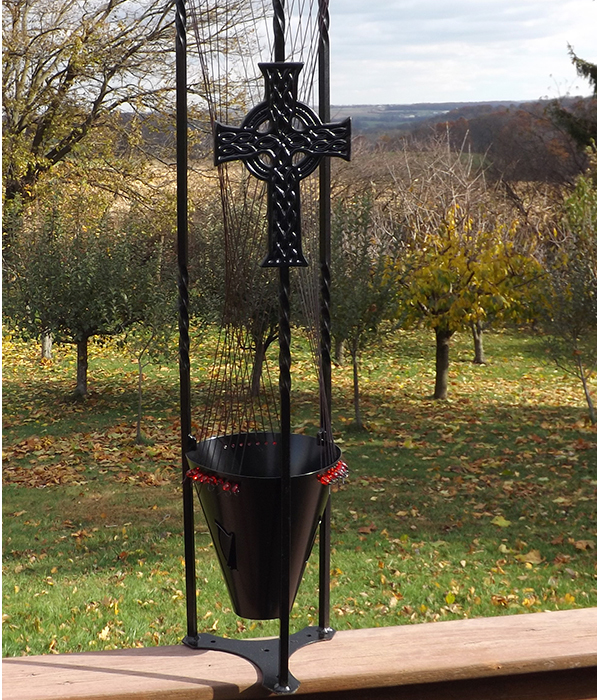 With their exquisite craftsmanship and their affordable price, they can be used to enhance your outdoor experience every day of the year. Several of our standard harps are available in copper plated models. You can also customize your harps with names and inspiring quotes plaques, or they can be illuminated with solar-powered LED spotlights. Commercial harps are large-scale creations that give a unique touch to public spaces and venues. 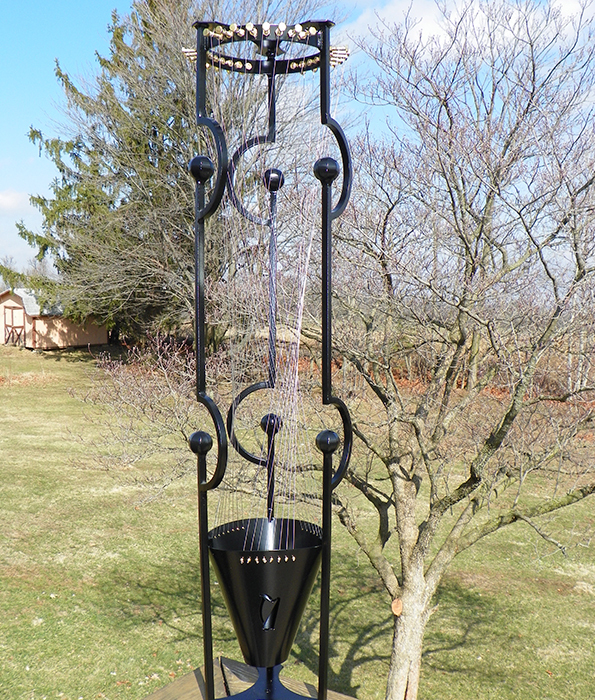 When you install a wind harp, you are creating an unforgettable year-round ambience in your garden, patio, porch, deck, or public space. You can even customize your harp with a personal engraved stainless steel plaque. These unique instruments can be trusted to produce their gentle sound in almost any weather conditions.